While primarily an archeological site and National Historical Landmark, this small state park has nice facilities and easy, paved trails that are fun to bird. Wander the trails through the hardwoods and palms, which attract songbirds in migration such as Black-and-White Warbler, Red-eyed Vireo and Indigo Bunting. The river view from the top of an ancient Native American shell mound is excellent for scoping winter ducks like Red-breasted Merganser and Lesser Scaup and wading birds like Green Heron and Snowy Egret all year along the waterline. Listen for Clapper Rail and Boat-tailed Grackle calling from the adjacent tidal marsh. Common gull and tern species are present all year; be alert for the occasional flyover of Magnificent Frigatebird and Chimney Swift. Bald Eagle, Anhinga, waterbirds and common songbirds make this a nice starter site for beginning birders. If bird activity is slow, try searching for other animal species on the park checklist like Striped Mud Turtle, Scarlet Kingsnake, and Northern River Otter. 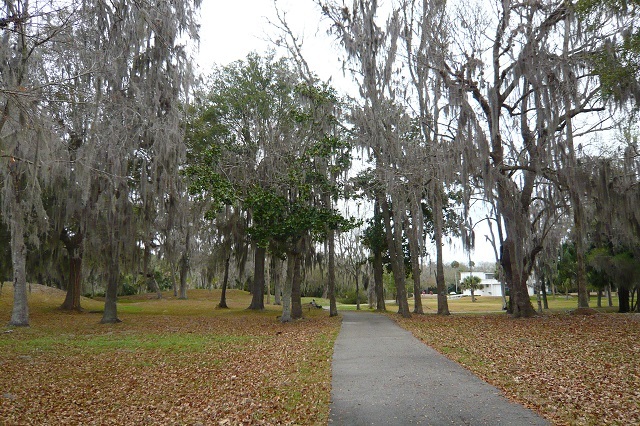 Boat tours on the river are offered from the adjacent Crystal River Preserve State Park; call 352-563-0450 for details.